Our SPECIAL OFFER from until 30 June - 135$ per night! A complex of four beautiful 3-bedroom villas with private pools, shared parking and security. With total 12 bedrooms, this villa is enough to comfortably accommodate 24 guests. Each villa is completed with uniquely designed furniture and art works. All units with spacious living and dining areas which are open to the manicured garden through the accordion glass doors. 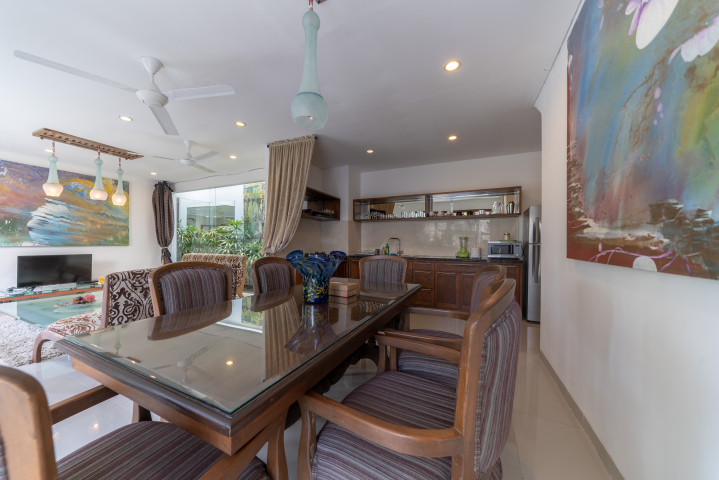 Furnished with a dining table that seats 6 people and a fully equipped kitchen, comfortable sofa and coffee table, LCD TV and DVD player. The master bedroom is on the ground floor with a queen size bed with night stands and working desk, AC, en-suite bathroom with shower and bath tub, safety box and closet. Two other bedrooms are on the second floor, one with queen bed and one with two twin beds. 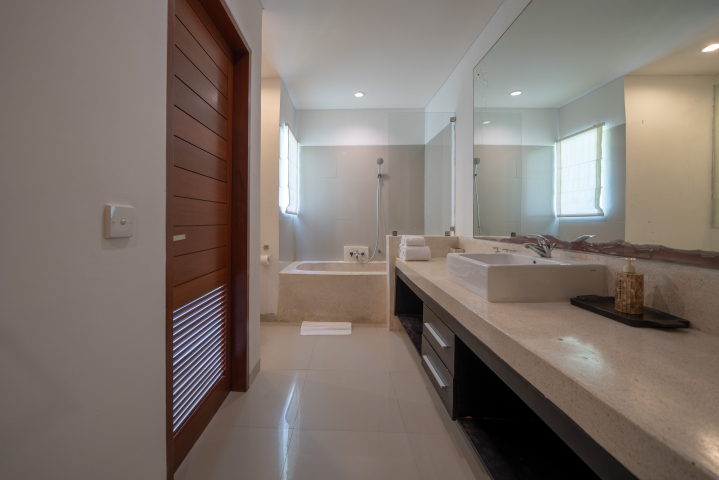 Both rooms have en-suite bathrooms with shower and closet. 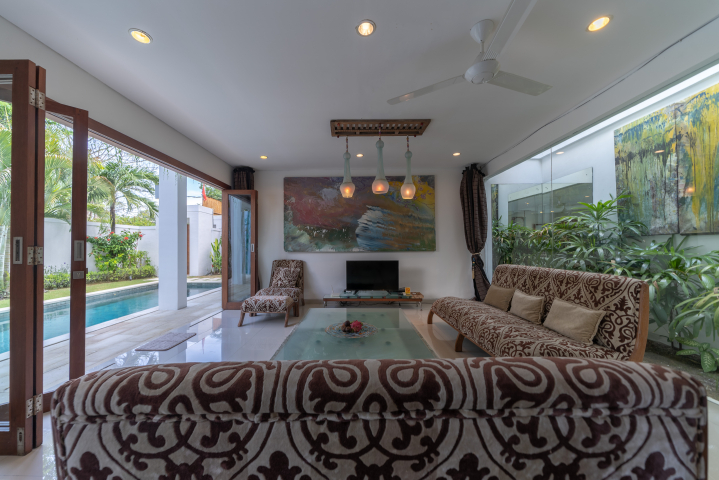 All villas have 9m x 3m swimming pool, 2 sun beds with umbrella in a tropical garden. The villas staff will serve you during your stay with the best Balinese tradition services. They can prepare breakfast (extra cost), organise in-villa massage, babysitting, and other room services. High season: Chinese new year, Easter week, July. Peak season: August, December 15 - January 12. Full payment in high and peak season is required 30 days before arrival.